Natural beauty, creative expression, compassion, healthy living, and civic participation capture the spirit of Loveland, CO. Bordered by the Rocky Mountains to the west and the plains to the east, Loveland rests 50 miles north of metro Denver. Residents here enjoy a variety of festivals, events, clubs, business organizations, government boards and commissions, personal interest classes, volunteer organizations, and higher education. 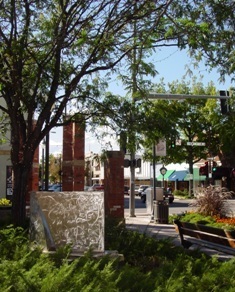 In 1985, Loveland was the first city in Colorado to adopt an Art in Public Places ordinance, designating one percent of the city’s capital construction projects of $50,000 or more for the purchase of art. The city has 26 parks, approximately 15.5 miles of recreation trail, 3 golf courses, several arts and entertainment theatres, and easy access to shopping. Loveland truly is a natural choice for residents. * Data pulled from the U.S. Census unless otherwise indicated. * Nearby Airports: The Fort Collins-Loveland Municipal Airport is jointly owned by the cities of Fort Collins and Loveland. The Denver International Airport is located just 75 miles south. Average temperatures July: Avg. High 86.2°F / Low 56.8°F. Average temperatures January: High 41.9°F / Low 14.5°F.